This is an ex-library book and may have the usual library/used-book markings inside. This book has soft covers. In good all round condition., 300grams, ISBN: 9781910039229. Very Good. 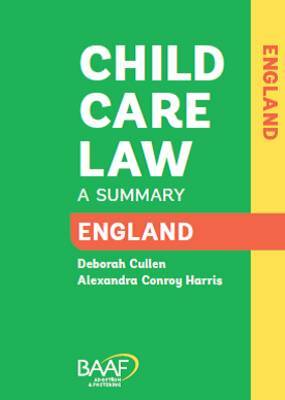 Child Care Law in England and Wales (6th edition) by Alexandra Conroy Harris, 2015-01-30. 92 p.
Good. Child Care Law in England and Wales (6th edition) by Alexandra Conroy Harris, 2015-01-30. 92 p.
New. Num Pages: 92 pages. BIC Classification: 1DBKE; 1DBKW; VFXC. Category: (G) General (US: Trade). Dimension: 210 x 152 x 9. Weight in Grams: 184. 2015. 6th Revised edition. Paperback.....We ship daily from our Bookshop.